Drs. Charles and Elizabeth Schmitz's award-winning book reveals how to sustain a long-term loving marriage. 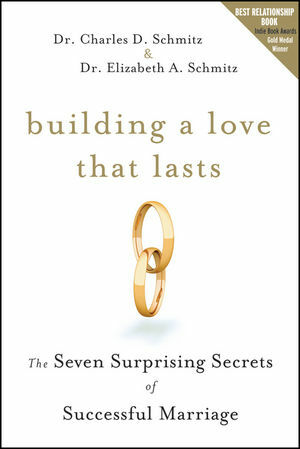 In addition to exploring the seven key ingredients that define a successful marriage—togetherness, truthfulness, respect and kindness, staying fit, joint finances, tactile communication, and surprise and unpredictability—the authors have included hundreds of insightful and practical interviews with happy couples. This book offers a positive, upbeat approach to living happily ever after. Dr. Charles D. Schmitz is dean and professor of counseling and family therapy, University of Missouri-St. Louis, and his wife, Dr. Elizabeth A. Schmitz, is president of their joint enterprise, Successful Marriage Reflections, LLC. Married for 43-plus years, they live in St. Louis, Missouri. Chapter 1 How Will I Know I Am in Love? Chapter 2 Learning to Dance. Chapter 3 Character in Love and Marriage. Chapter 4 It's the Little Things That Matter. Chapter 5 Nicknames: the Private Code for Love. Chapter 6 And Then . . . Along Came Kids. Chapter 7 Seven Secrets #1: It Takes Two to Tango. Chapter 8 Seven Secrets #2: No Sacred Cows. Chapter 9 Seven Secrets #3: the Golden Rule. Chapter 10 Seven Secrets #4: Your Body Is Your Castle. Chapter 11 Seven Secrets #5: Filing a Joint Return. Chapter 13 Seven Secrets #7: Beyond Boring. Chapter 14 Seven Secrets to Avoiding the Seven-Year Itch. Chapter 15 the Stress Test. Chapter 16 Marriage as a Torch Red Convertible. Chapter 17 a Tribute to Lasting Love. Chapter 18 Failure Is an Option. Chapter 19 Reflections on Love and Marriage. A Seven-Week Program for Developing Ongoing Sharing in Your Marriage. Salad Recipes from “America's #1 Love and Marriage Experts”. Filing a Joint Return Activity. Marriage as a Torch Red Convertible Activity.